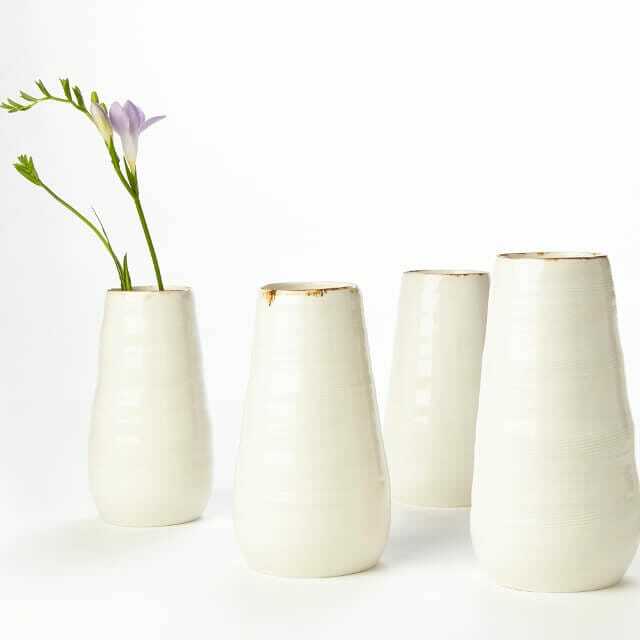 Kirsty's vessels are statement pieces for the home. Perfect as a stand-alone piece with or without flowers. 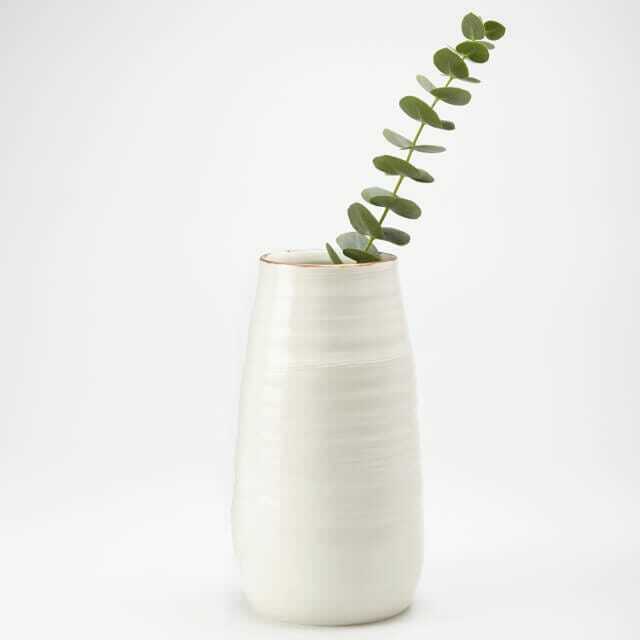 Kirsty has created a unique collection of vessels, with a delicate style of throwing, combined with poured and dipped glazing techniques. The pieces are both functional and hold aesthetic meaning, retaining the spontaneity and delicacy intrinsic to making on the potters’ wheel. A Japanese comb tool is used to create and enhance textures during throwing. The high gloss glaze references clay in its wet state, while the bronze and oxide rim brings an impulsive fluidity to the finish.